Calvin Dyck has been concertmaster for the Vancouver Island Symphony in Nanaimo for 20 years and is also the director for the Abbotsford Youth Orchestra. Calvin has played concerts in over 15 countries, and is in demand as a producer, teacher, conductor and adjudicator. Although a college aptitude test recommended a career as a tug boat captain, Calvin finished a DMA in Violin Performance as USC. He currently has about 25 students. Some of his former students are currently studying at universities across Canada, and one is now a member of the Vancouver Symphony Orchestra. Calvin has been awarded the Queen Elizabeth II Diamond Jubilee Medal for service to the community. He has also been awarded an honorary Doctor of Humanities by Trinity Western University. Ashley Kroecher grew up in North Vancouver with the forests, creeks, and mountains as some of his most significant influences. After orchestral and chamber music studies at the Vancouver Academy of Music, he completed a B.A. in general arts at UBC. He then attended the Musikhochschule (National Conservatory) in Trossingen Germany studying viola under James Creitz. He is principal violist of both the Okanagan and Kamloops Symphony Orchestras, and has been a member of the Sycamore String Quartet since 2013. He lives in Kelowna where he and his wife both teach violin out of their home. In his free time he enjoys playing with his 9 year old daughter, exploring the outdoors, and reading everything from cartoons to classics. Martin Krátký graduated from the University of Toronto (in performance) and the Oberlin Conservatory of Music (in historical performance). He is in demand as a section leader, teacher, chamber musician, and soloist. His first job, immediately upon graduating, was as principal cellist of the Saskatoon Symphony. Attending two summer residencies at the Banff Centre, Martin has also participated in many chamber music festivals--Aria, SOCMI, Soundfest at Cape Cod, among others. 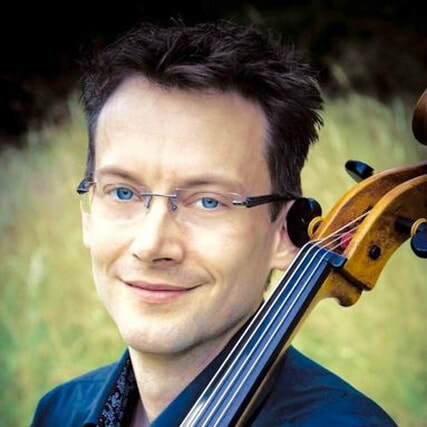 He is currently the principal cellist of the Kamloops Symphony and a core member of the Okanagan Symphony. He also teaches weekly in both Kelowna and Kamloops. In his spare time, he builds and landscapes on his 60-acre mountain property. 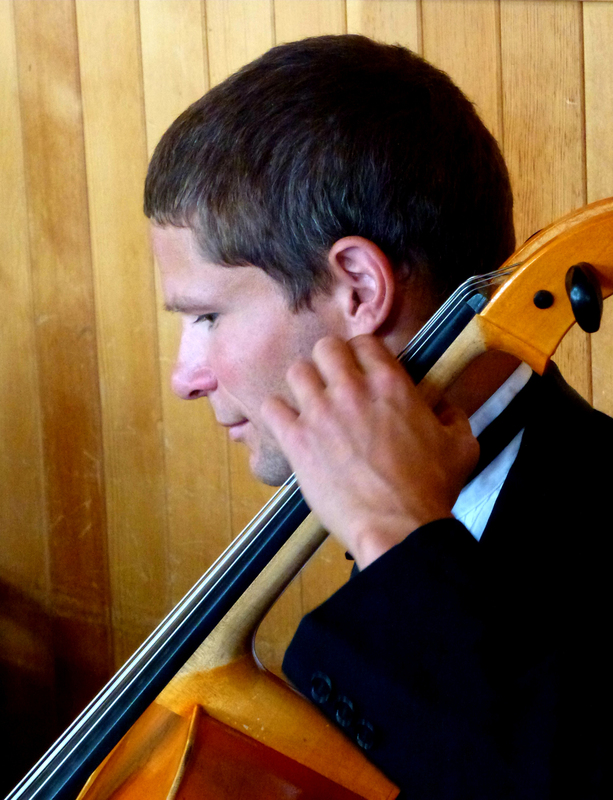 Joel Stobbe studied cello in Munich, Germany for seven year, and returned to Canada to become a founding member of the Borealis String Quartet (2002 - 2005). He has furthered both his teaching and solo careers by taking a position at the Langley Community Music School as coordinator for advanced programs and he currently is the Artistic Director of the Surrey Youth Orchestra. John Suderman completed his Bachelor of Music Degree and Certification of teaching music in public schools at the UBC in 1982 and has taught music ever since. John is a core member of the Okanagan Symphony Orchestra and he teaches violin at the Kelowna Community Music School and Penticton Academy of Music. Sandra Wilmot is a Kelowna-based freelance violinist, educator, piano accompanist, clinician, journalist, and award-winning composer. She plays regularly with both the Okanagan and Kamloops Symphony Orchestras and maintains a large studio of private students and string ensembles at the Kelowna Community Music School, and the Kamloops Symphony Music School. She has played professionally with various other orchestras across Canada, including the Saskatoon Symphony, and has attended many prominent orchestral and early music intensive summer programs. Sandra is a graduate of the University of British Columbia.